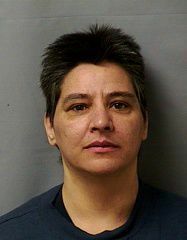 WILSONVILLE — An Oregon Department of Corrections adult in custody, Tammara Upton, died Sunday morning. Upton was incarcerated at Coffee Creek Correctional Facility. She passed away in the infirmary while on hospice care. The Oregon State Police have been notified. Tammara Upton, 55, entered DOC custody Nov. 4, 1991, from Douglas County, with no parole. Next of kin has been notified. No other details are available at this time.